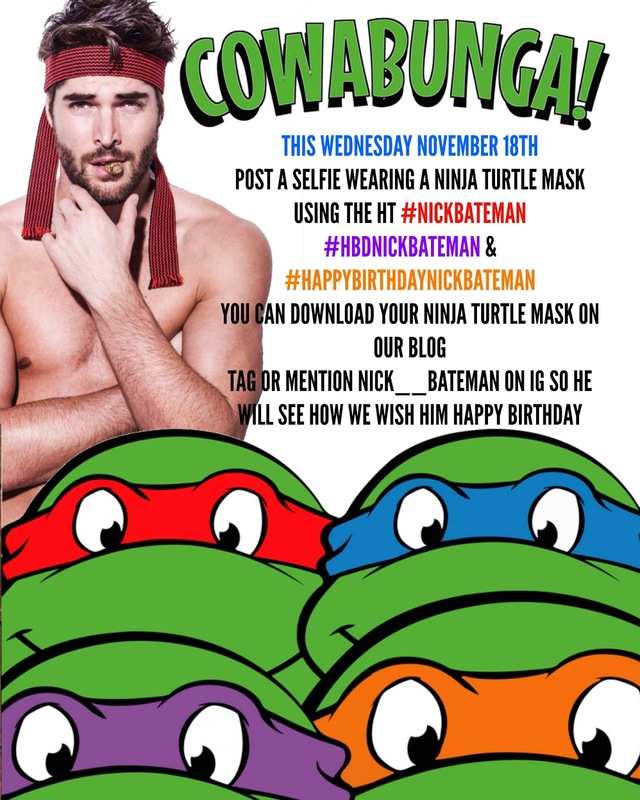 Let's celebrate Nick's Birthday doing one of the things he does the best, TAKING SELFIES...!! 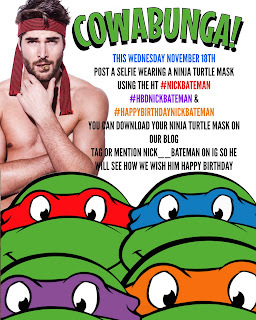 Yeah Take a selfie wearing a Ninja Turtle Mask and post is on IG using the HT #NickBateman #HappyBirthdayNickBateman & #HBDNickBateman Tag or Mention Him so he will see how we're wishing him a Happy Birthday...! !